If publishers don't want to put their games on Steam, that's fine—but they'd better make sure their replacement launcher reaches a baseline level of quality. Fallout 76 is not releasing on Steam. It’s perhaps not the best game of 2018 but it’s arguably one of the biggest, and it’s not coming to Valve’s storefront. Of course this has kicked off another wave of “Is Steam in trouble?” thinkpieces, the likes of which we haven’t seen since EA split off to make Origin. And hey, it is a big deal. Maybe Valve should take a look at why publishers are increasingly keen to part ways these days. This isn’t that article, though. No, I’m here to talk about the companies pulling away from Valve, Bethesda in particular. If you’re going to shoot at the king, you’d better not miss—and right now, Bethesda couldn’t come near the crown even with V.A.T.S. active. I honestly don’t care what storefront publishers use. Sure, on some level I enjoy having my games centralized in Steam. It’s clean and easy, and I’ve got years of history there. But if publishers don’t want to bring their games to Steam, I can’t really blame them. That 30-percent revenue cut is steep, especially given how little Valve does to earn it nowadays. Back in the ‘90s, though, I installed games off of CD-ROMs. Hell, I had to keep dozens of CD-ROMs in a big stack next to the computer, swapping them into the drive in order to play anything. If I survived that, I’m sure I can survive having a dozen or so launchers on my PC. Trying to imagine my 2000+ game Steam library as a stack of CD-ROM jewel cases. That presupposes, however, that all those launchers are equally functional. If you’re going to pull your game off Steam, you’d better have Steam-like features in your new launcher—at least the basics. And yet as I played Fallout 76, I dealt with more and more of Bethesda.net’s rough edges. First there was the PC beta, which plenty of players downloaded only to find it didn’t work, prompting the client to re-download the entire beta a second time. Then nobody could get rid of it. Once the beta ended, the launcher provided no way for players who’d lost interest to uninstall the beta. You had to delete the game’s files manually from your hard drive, because the client basically stopped paying attention to them until release day. Me? I spent two fruitless hours trying to recover my old Bethesda.net account, which I used for Elder Scrolls Online at some point. [Update: Oops, this one's on me! Despite both being owned by Zenimax, Elder Scrolls Online wasn't on Bethesda.net. Strike one from the 'Con' column at least.] Failing to find it, I then tried to make a new account—only to have account creation fail at the final step every time, with a nondescript “Something went wrong” error. After some troubleshooting, it turns out the username I wanted was actually taken, even though Bethesda.net told me I was in the clear. 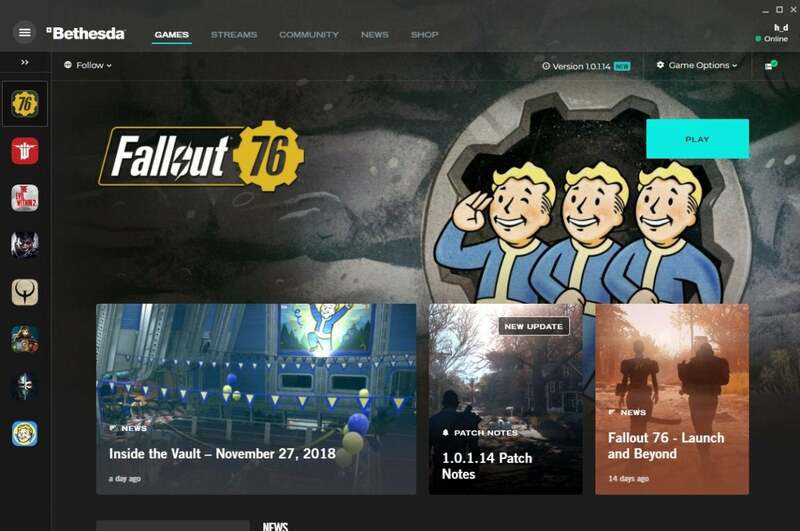 There’s no way to actually buy Fallout 76 in the launcher, either. Clicking the big Buy Now button actually just kicks you to Bethesda’s browser page, where you then need to log in (again) and proceed through checkout. Then to get the Bethesda.net launcher to realize you bought the game, you have to exit and relaunch the program. Phew, finally in-game. Oh, but there’s no client-wide friend’s list—in a launcher that, so far, has played host to two multiplayer-centric games in Elder Scrolls Online and Fallout 76. 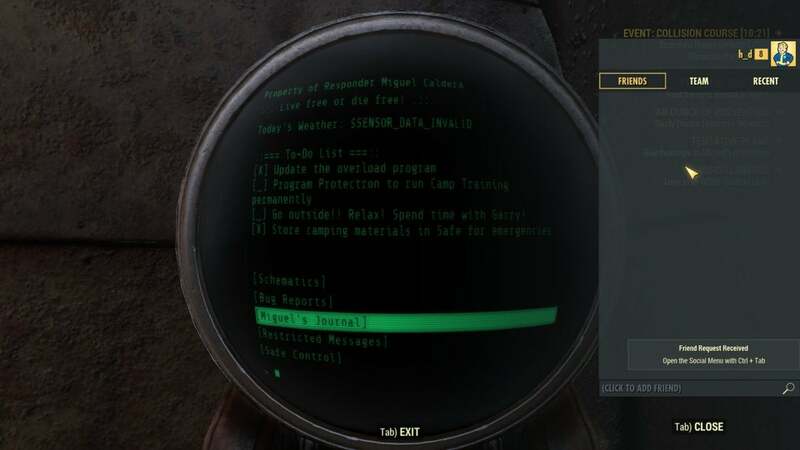 Friends are instead game-specific, meaning you have to enter Fallout 76, hit Ctrl-Tab to bring up the corresponding menu, and then add your friend’s account. Worse: It handles those friend “requests” in the most baffling manner, as I found out yesterday. My colleague Adam Patrick Murray added me as a friend, I was notified he added me, and then...nothing. I spent ages trying to find a way to confirm his request, only to realize it wasn’t a request at all. Instead Fallout 76 automatically adds me to his friend’s list, and then I have to type in a corresponding request on my end so he’ll show up in mine. “Friend Request Received,” and yet there’s no way to actually see who added you to their list. As I said, the list is seemingly handled per-game as well. Let’s say Adam and I decided to go buy Doom on Bethesda.net (for some reason) and play its awful multiplayer mode (for some reason)—I think we’d then have to add each other as friends in Doom too. It doesn’t look like it carries over, though I admittedly haven’t tested it because I’m not buying Doom on Bethesda.net. This is basic stuff. Managing game installs? Friend lists? Why do I need a client, if not these features? And yet Bethesda.net fumbles a number of them, damaging the platform’s first impressions and driving away a large number of players. And if your experience with Fallout 76 is bad enough, maybe you’d like to refund it. Well too bad, because Bethesda won’t let you. EA introduced refunds to Origin in 2013, Valve followed suit in 2015, but what’s quickly become an industry standard has yet to be adopted by Bethesda—even though Fallout 76, with its myriad performance issues and general jank, is perhaps one of the games you’d be most forgiven for refunding at release. Bethesda’s not the only offender. Microsoft split away from Steam and focused its efforts on the Windows 10 Store. It’s a UI nightmare that hides access to your games library in a secondary menu, then displays all your purchases (including DLC) in one long, impossible-to-navigate list. Also it requires publishers to compile their games as Universal Windows Platform apps, which hinders mod tools, frame rate trackers, and all sorts of other proud PC gaming traditions. 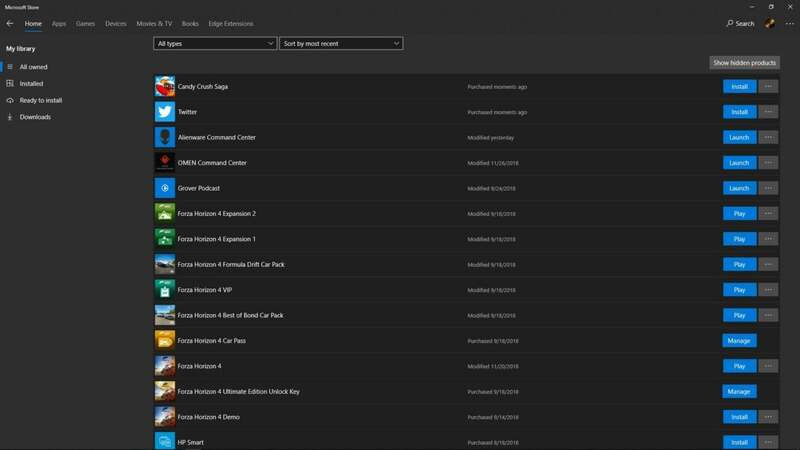 Here’s a glimpse of my Windows 10 storefront library. What a nightmare. Just out of frame: Around 100 entries for Halo Wars 2 DLC. Ubisoft sort of split away from Steam and gave us Uplay, which has a few decent ideas—I like earning Uplay-specific currency for achievements, then spending it on cosmetics. It’s not a very robust system, but I’ve gotten some neat Assassin’s Creed skins out of it. Then again, if you own a Ubisoft game on Steam but buy DLC for it on Uplay, the DLC won’t work, despite the fact that Uplay needs to launch every time you run the game anyway. Also there is nothing more frustrating than logging into Steam, selecting a game, and then having Uplay prompt you for a second username and password. It’s almost worse having Ubisoft half-split from Steam instead of making a clean break. And of course EA split away from Steam and gave us Origin. You know what? 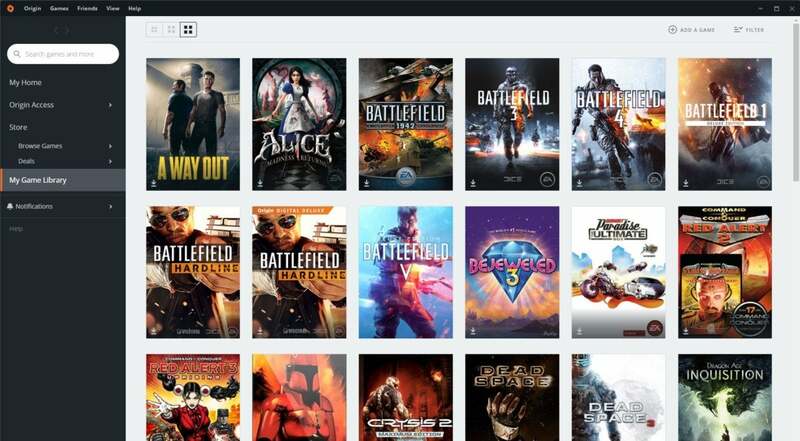 Origin’s honestly not too bad these days. It could use a screenshot tool, and the user interface is still terrible even after the recent overhaul. But after seven years, I don’t hate it. I’m never going to buy anything there that’s not exclusive to the platform, but it’s one of the least offensive of the various publisher-specific storefronts at this point. EA pioneered digital refunds too, remember. We owe them for that. That said, Origin’s maturity is also its strength. EA’s had a lot of time to bolster Origin with additional functionality, and back in 2011 it resembled modern Bethesda.net more than Steam. The other contender for “Best Publisher-Specific Platform” is actually older than Steam. Battle.net’s played host to Blizzard’s games for over two decades now, and it’s maintained a pretty high reputation for much of that—though who knows how long that will last, what with Activision dumping all its games on there now. Battle.net is changing, and fast. It’s not that Steam is perfect. Absolutely not. There are serious issues with discoverability, on the consumer end. And on the developer side, well, there’s that aforementioned 30-percent revenue cut. Now that there’s no curation and most games barely get any attention, it’s hard to justify Valve's huge chunk. But Steam’s competitors are their own worst enemy, time after time. Publishers want to win PC gamers away from Steam, but most do little to make that transition more appealing. 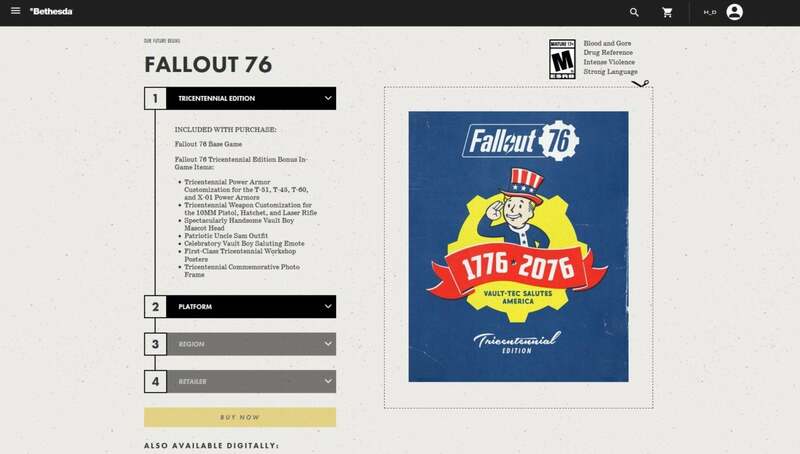 They count on the games themselves being enough, a strong-arm tactic that basically goes, “Play Fallout 76 here or don’t play it at all.” And sure, that technically works, but it’s not endearing the game nor the launcher to users. Sooner or later you’re a Windows 10 Store, a storefront people launch once a year with reluctance even after some of the bigger issues have been fixed. Early impressions matter. Just ask Games for Windows Live.